The Fairtrade Yorkshire campaign was launched in 2011 to bring together Fairtrade activists and supporters across the region and get us officially recognised by the Fairtrade Foundation as the UK’s first Fairtrade Region. There are 39 cities, towns and villages in Yorkshire with Fairtrade campaigns. Add to this the schools, Universities and faith groups, and it’s clear that Fairtrade is thriving in Yorkshire. 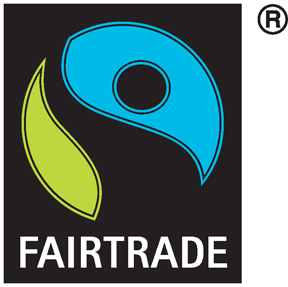 The campaign was a success, and on 18th January 2013, Yorkshire was declared a Fairtrade Region. Declaration events took place in Ilkley, Leeds and York. You can read more about the events and see photos and videos of the day in the news story about the event. Across the UK, Fairtrade is flourishing, with sales of Fairtrade-certified products exceeding £1 billion for the first time in 2010. Fairtrade is touching the lives of millions in the developing world, making real improvements to the everyday lives of people in some of the world’s poorest communities. From the chocolate works of York to the old textile mills of the West Riding and the famous anti-slavery campaigning of Yorkshireman William Wilberforce, Yorkshire has a long association with the struggle for workers’ rights and dignity. Being the first-ever Fairtrade Region gives us yet another reason to be proud to be Yorkshire. If you would like to hear more about Fairtrade Yorkshire, sign up to receive our monthly newsletter.